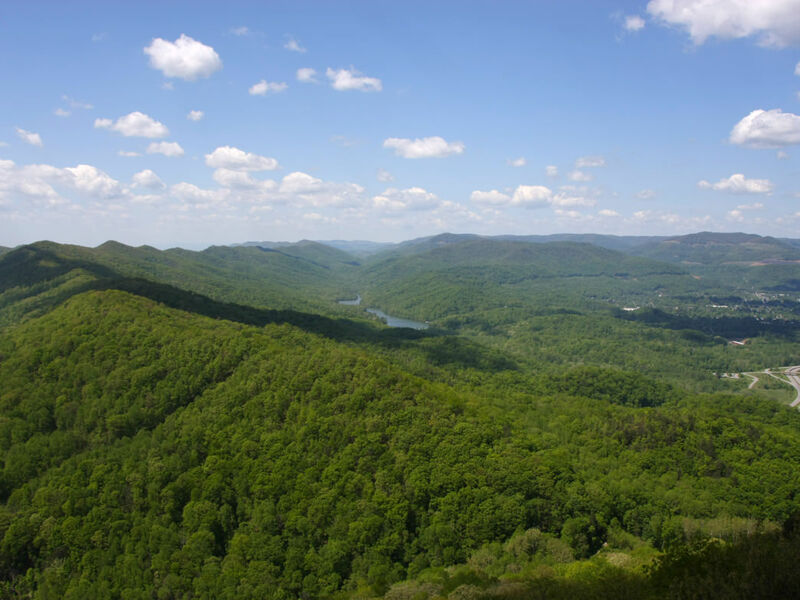 Wilderness Road Campground is the ideal base camp for exploring the Cumberland Gap area. Nestled in history-rich Cumberland Gap National Historical Park, Wilderness Road Campground is an ideal adventure base camp. Campsites are first-come, first-served, so it takes some effort to get a site. The campground is typically open from mid-March until the end of November. 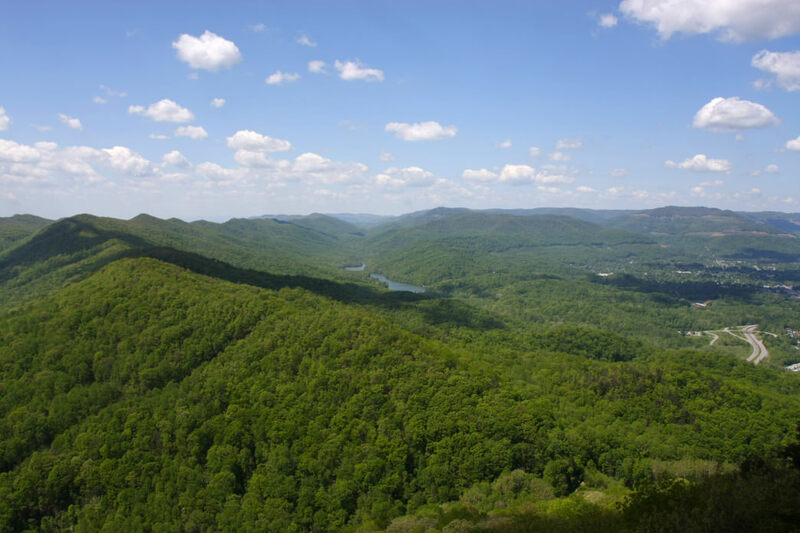 Cumberland Gap, a natural break in the Appalachian Mountains, has long been used by Native Americans for hunting. In the mid-20th century, a settlement sprang up in the nearby hills. Today, the Gap’s history—both ancient and contemporary—is celebrated at Cumberland Gap National Historical Park. Visitors can explore the now-abandoned Hensley Settlement, take a tour of famous Gap Cave, or explore miles of trail, and a campsite at Wilderness Road Campground is the perfect spot to launch any adventure in the park. Wilderness Road Campground boasts 160 individual sites, all nestled in the woods just down the road from the Gap itself. The campground offers both tent sites and sites with electrical hookups for RVs, along with potable water and well-maintained restrooms with hot showers. The best amenity, though, is easy access to the park’s many trails. From any site in the campground, hikers can walk to the trailheads for the Boone Trail, Green Leaf Nature Trail, Honey Tree Spur Trail, the Mischa Mokwa Adventure Trail, or the Colson Trail. To really maximize the bang for your buck, take the Lewis Hollow Trail just a mile to the Skylight Cave, which is open to the public. Between exploratory hikes right from your front (tent) door, there’s tons to do elsewhere in the park. Interpretive tours of the historic Hensley Settlement leave daily from the Visitor Center, and rangers also offer tours of the spectacular Gap Cave. Reservations are recommended for both tours. You can make one up to a month ahead of your visit by calling (606) 248-2817. The beauty of base camping is that the whole family has options. Those looking for a mellower weekend can hang back at the campsite, which, nestled in the forest, is pleasant in its own right. Hard chargers can explore nearby trails or head to the Visitor Center for a tour. Regardless of how everyone spends their time, Wilderness Road Campground means a quintessentially Kentucky weekend. From I-75, exit onto Highway 25E in Corbin (this is also the best place to stock up on supplies for your time in the park; the towns only get smaller from here). Follow 25E for 50 miles south of Corbin to the park. Non-electric sites are $14/night and can accommodate up to eight people, four tents, and two cars. Keep dogs on a leash at all times in the park.